Greetings from Tainan, city of 1000 temples! 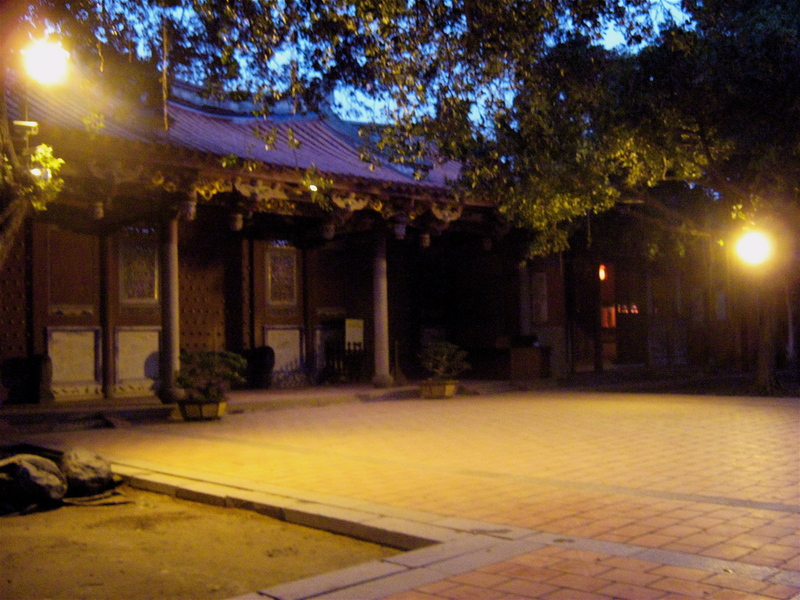 This one is Confucius Temple, photographed at dusk. Writing retreat: successful. Hi Mom: look, I survived solo travel in Chinese! Explicating the details of all these experiences (some recorded without the use of WiFi, oh my!) will fill several more posts, so today I am merely reflecting on the transition into a new phase of my time here: if Kim-Meets-Formosa were a fictional story or novel, I have entered the Rising Action. I am all settled in, context established, Chinese beefed up on, research contacts made, now time to USE everything. Appropriately, the pace of the days and weeks has also accelerated. And now I am cruising at 60 mph, hectic freeway entrance ramps negotiated, I intend to pick up my blogging as well– with shorter, more frequent posts! maybe I’ll even figure out to get WordPress to let me post some Taiwanese music videos! 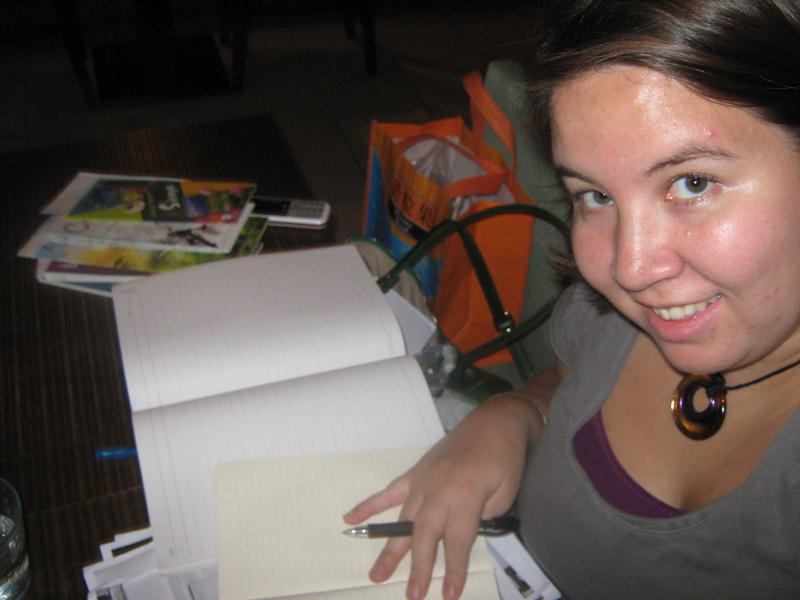 Stay tuned for travel logs, research updates, and the best books to read when you’re an expat in Taiwan. Hope you’re having a great December. The holiday season seems so far away to me– please remind me of what winter is like in America! 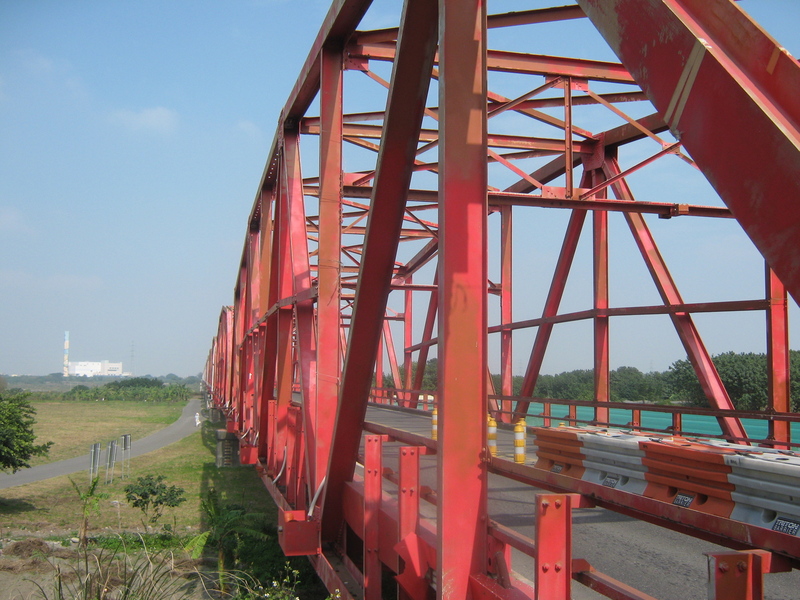 The somewhat famous Siluo Bridge, 西螺大橋, located at the outskirts of my grandfather Thomas Liao's hometown. More on my trip to see Siluo soon! In Vermont, you can’t tell what winter is like because you are under it! It’s beautiful, but it’s so cold! Avery can barely move in her winter coat! Oh, that’s adorable!! Auntie Kim wants more pictures. Hope you guys all stay warm, and it’s always great to hear from you, Jen– thanks for reading!